One of my favorite perfumes is Marc Jacob's Orange. The smell (not too fruity), the light orange hue, the simple and chic bottle- it's all so lovely. It was part of the Splash fragrance set and was a limited-edition. I did do a search and found some available. MJ has a new fragrance out- Lola. 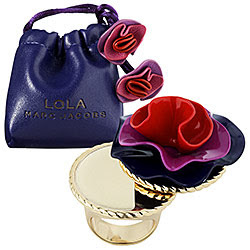 While I've never sniffed a whiff, I love this whimsical solid perfume ring available at Sephora. 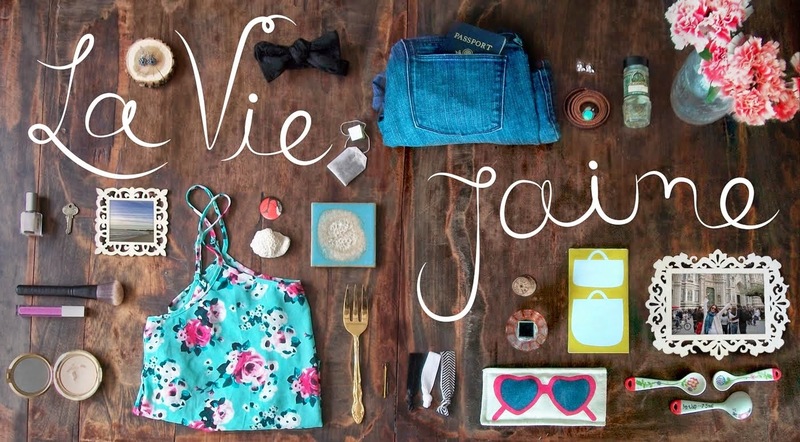 I'd get it just for the ring and the little bag (good for putting your jewelry in for travel?) alone! Can't wait to sniff this one! I love the name of the new scent, can't wait to see what it is all about. Marc Jacobs perfumes are always packaged very creatively. I love the Orange packaging and now here is Lola. I am still so faithful to my Acca Kappa Calycanthus scent. I saw this at Sephora and almost bought it for myself and then remembered that I need to start saving for the lovely holiday season ahead. But you better believe this ring will be on my wish list. Perfect for a night out!! I have adored this package since it came out!